The patient in this case went to the emergency room after experiencing back and stomach pain. The doctor in the ER prescribed the painkiller Duragesic. Several days later, the woman had to return again to the ER where she was diagnosed with hypoxia and hypoventilation. Later investigations revealed that the ER doctor prescribed four times the necessary amount of Duragesic. This mishap had a deadly ending. A Walgreens pharmacy employee filled a client’s prescription with Gilpizide (meant for diabetes) rather than with the gout medication he was supposed to receive. The client died as a result of this accident, according to the plaintiffs. His estate sued and the defendants mounted a strong defense. They argued that he died ten months after this incident and that the true cause of his death was end stage renal failure rather than their conduct. The jury was nonplussed by these points and they awarded the estate $31,351,107 ($25,000,000 for punitive damages and $6,351,107 for pain and suffering). Read more about pharmacy errors involving the wrong medication here. Like many other kids, a teenager in this case went to the doctor with an eye infection. The physician prescribed a steroid ointment and the kid it over the course of two years. The doctor prescribed this medication knowing that it posed the risk of blindness to the patient and that is exactly what happened. At the time of in the subsequent lawsuit, the teenager had already lost almost half of his vision in the affected eye and doctors said he would lose all of it within ten years. The jury returned a verdict against the doctor and pharmacy for $1,500,000. Here a patient was hospitalized after a drug overdose from a combination of morphine and Xanax. To treat the emergency, her doctor prescribed morphine sulfate and alprazolam. The cocktail of all these medications and drugs killed her. Her estate sued the doctor for malpractice. The lawsuit alleged that he was negligent by failing to properly ascertain a medical history of the decedent, communication with her other physicians about medications she had taken, and prescribing a lethal does of morphine sulfate and alprazolam. At trial, the doctor countered that the decedent was contributorily negligent by overdosing and by failing to follow doctors’ orders. Also, he argued that those close to him should have gotten him to the hospital sooner and they were contributorily negligent in this respect. The jury actually bought this line of reasoning and awarded 50% of the fault to the decedent and those close to him. Thus, the award of $313,706 was cut in half. This incident started when a doctor gave a patient the wrong prescription. As a result, the latter began to experience pancreatitis and this required a blood transfusion. During the transfusion, the patient contracted HIV. He sued his doctor for malpractice because of the original prescription error and the jury awarded him $2,400,000 ($1,000,000 for loss of services and $1,400,000 for punitive damages). 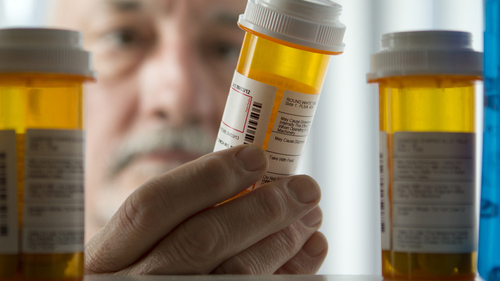 In this case, a pharmacy gave a 52-year-old man the wrong prescription. This had the effect of worsening his seizure disorder as well as ruptured discs and spinal fractures. Also, the plaintiff claimed that the wrong medication trigger a seizure in him. He sued the company for damages related to his injuries. The defendant responded that the type and dosage of medication; however, these factual issues were never tested at trial because they settled for $1,000,000.